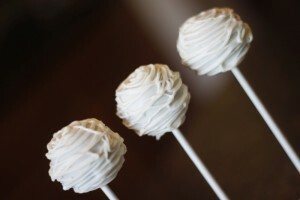 Next you will need some cake pop sticks, melted almond bark or candy melts and your cake balls of course! Melt the Almond Bark at 50% power for 1 minute and take out to stir. 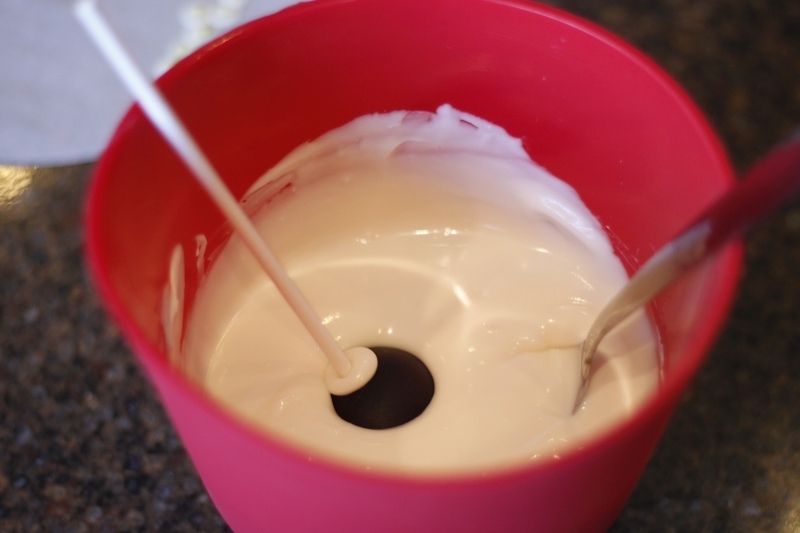 If it is not completely melted, put it back into the microwave on 50% power for an additional 30 seconds. 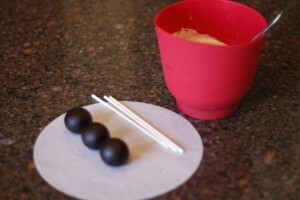 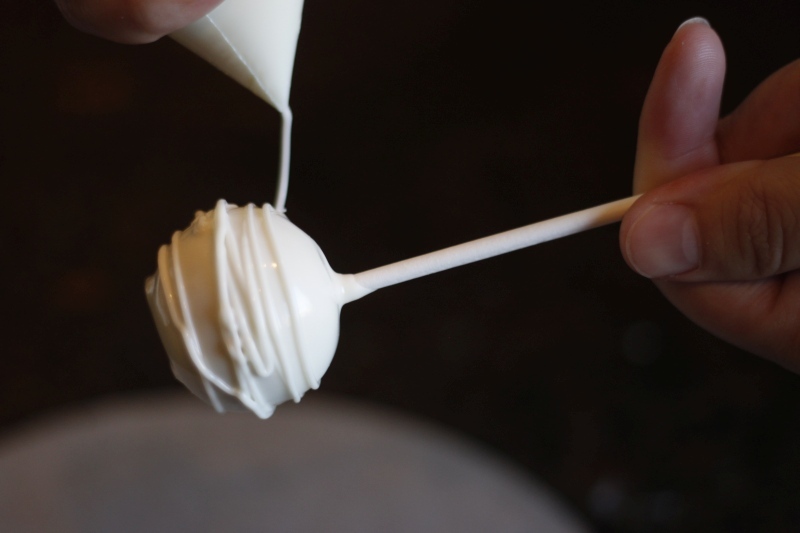 Dip your cake pop stick into the candy melts and then into the cake ball. 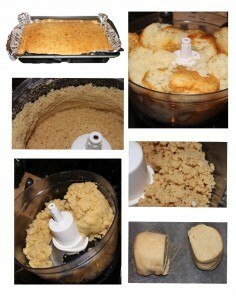 Then dip the entire cake ball into the melted white chocolate. 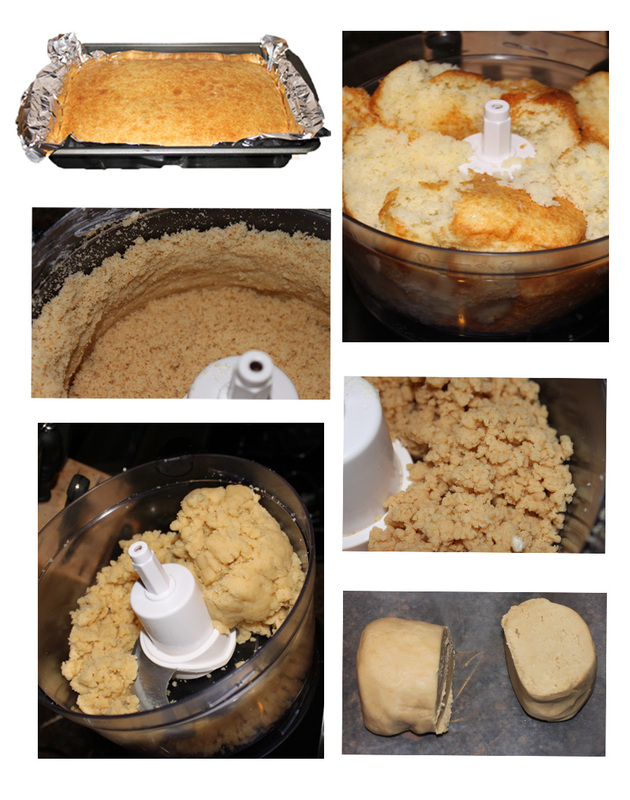 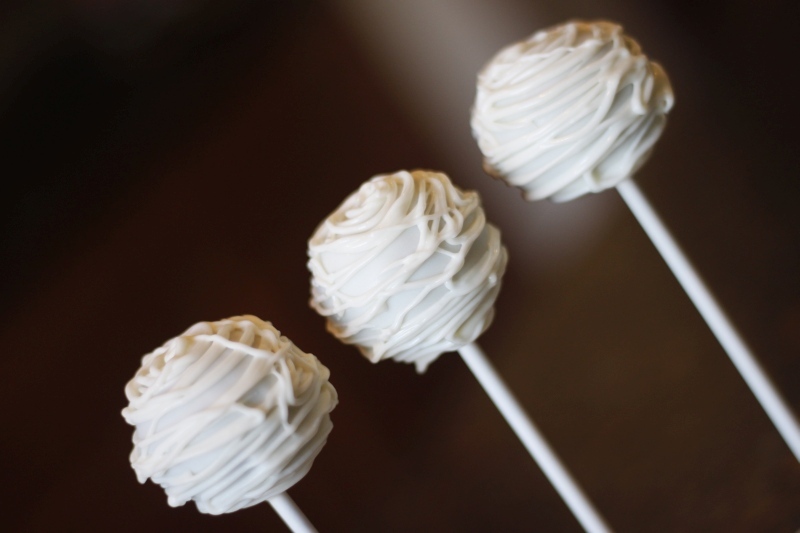 Dip all your cake pops and put them into your favorite cake pop stand to set up. Pipe on a few green dots for eyes! 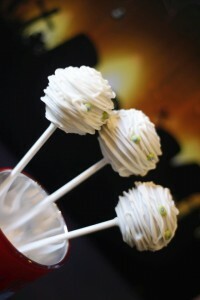 These melts were neon green candy melts from Wilton. 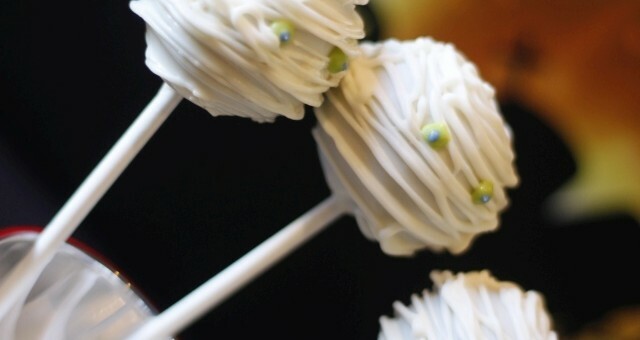 Then I added a little dot in the center …I thought I was using grey candy melts, o’well;)! 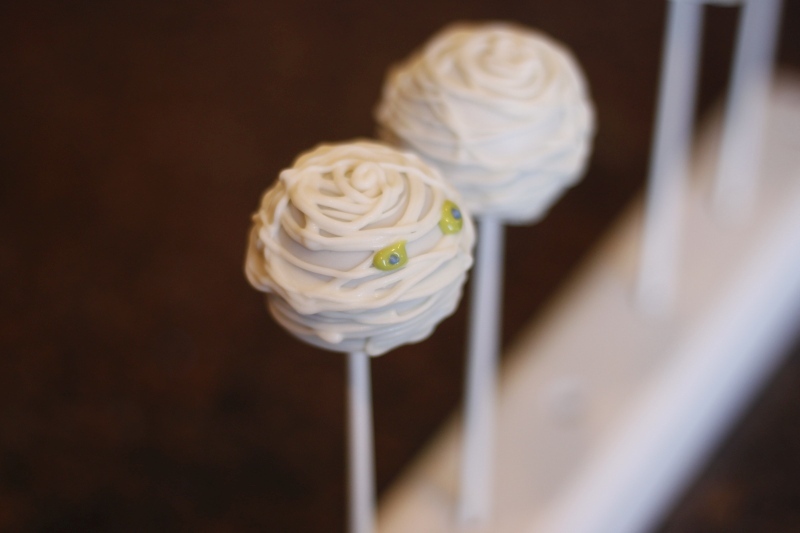 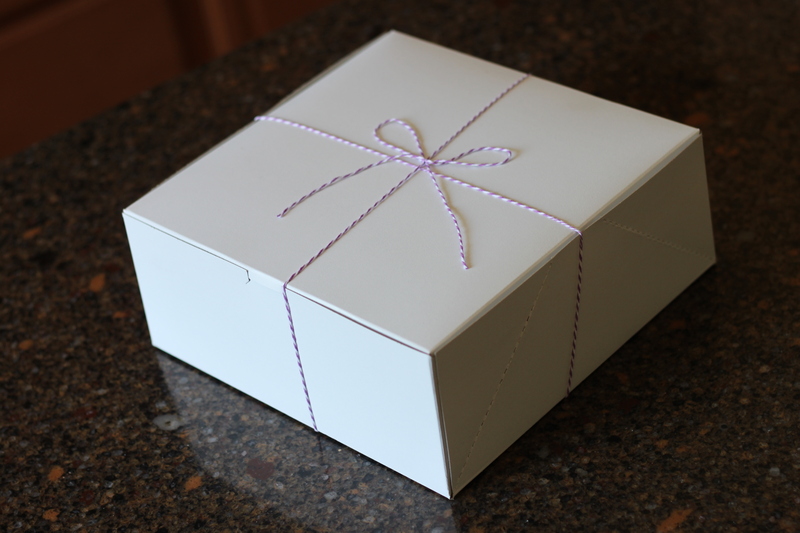 Yummy Mummies all boxed up!